Despite the protection that we get from our skin, it isn’t impenetrable. 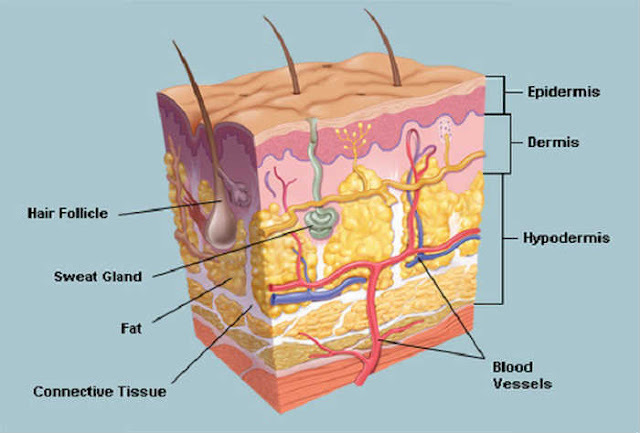 When we suffer cuts, big or small, those wounds can affect all three layers of skin. Thankfully we can spot warts, moles, blackheads, skin tags, and age spots quickly because they grow on the layer of skin we can see. If it’s too painful or you just don’t want to wait for who knows how many years, your doctor will gladly take care of those warts, skin tags, blackheads, and more. .Cryotherapy involves the use of extreme cold to freeze, e.g., warts before removing them. .Laser surgery uses, you guessed it, lasers to “burn” off, e.g., skin tags. .Topicals like retinoid cream provide a less extreme but longer solution for whatever you want your doctor to remove. Disclaimer: The following list is general in nature and for informational purposes only. While there are claims that these remedies are successful, they don’t all have evidence to support their use in treatments and are anecdotal. Please speak to your doctor or dermatologist about any skin growths you may have before attempting to any of these at home. Fresh Garlic: Crush a clove of garlic, apply it on the wart, and cover it up with a bandage. Leave it alone for up to thirty minutes and then thoroughly wash the wart. Repeat this twice daily for at least one week or until the wart blisters and falls off. Vitamin C: Crush a few vitamin C tablets in a dish with less than a teaspoon of water. Mix the powder and liquid together to create a paste. Rub the paste over your wart and protect it with a bandage. The vitamin’s high acidity may cause a burning sensation, but it will quickly go away. Repeat daily. If those two aren’t convincing enough, this is one natural ingredient will help cure your warts and more! Aside from the aesthetic issues some people may have with moles, they tend not to pose any health risks. They range from being flesh-colored to black, raised to flat, smooth to rough, and hairless to hairy. Mole development tends to begin in our 20s to 30s after years of sun exposure or simply due to genetics. Castor Oil (with Baking Soda): Mix a pinch of baking soda with a few castor oil drops and rub it over your mole. Let it dry naturally for a few hours and repeat this twice a day for a month. Pineapple Juice: This method does not remove your mole(s). Instead, the juice lightens the pigment. Soak a little cotton ball in pineapple juice and tape it over the mole. Do this at least twice daily for at least two weeks. Blackheads affect people of all ages. They develop when there’s a build-up of things like dirt, dead skin cells, and sebum in the openings of hair follicles. Blackheads, which can also look yellow, appear mostly on the nose. If you don’t treat them properly, blackheads can lead to more visible breakouts. In addition to the remedies below, here are sixblackhead treatments you’ll want to check out. Cinnamon: Mix one teaspoon each of cinnamon powder and lemon juice. Apply the mixture to your face for about fifteen minutes, and then rinse it off. Oatmeal: Prepare a bowl before you mix in a teaspoon of honey and juice from four tomatoes. Once you’ve mixed these ingredients into the oatmeal, scrub the paste into your face and then rinse it off after fifteen minutes. Repeat daily for healthy-looking skin. Skin tags are pieces of skin that commonly develop around the age of fifty onwards. They’re soft, small, and vary in color from skin-toned to brown. 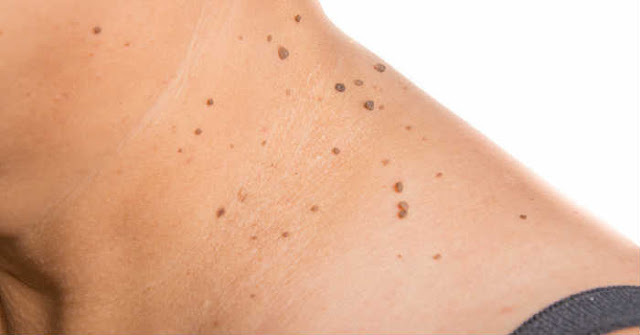 Learn more about skin tags and how to remove them naturally! 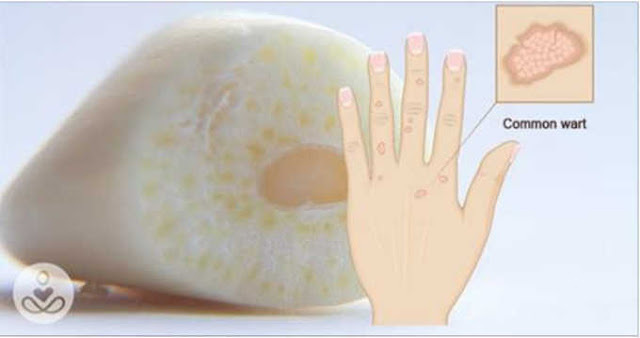 Apple Cider Vinegar: Saturate a cotton ball in apple cider vinegar and rub your skin tag with it gently. You may feel a stinging sensation but only for a few minutes. Tape the cotton ball over your skin tag and leave it for up to four hours. Repeat this three times daily, and the tags should be gone or start to go away within two to four weeks. Tea Tree Oil: Dampen a cotton ball with water and then apply to it four drops of tea tree oil. Massage your skin tag using the cotton ball and wait up to three hours before cleaning it off. Repeat this three times daily, and after a few weeks, you skin tag should fall off painlessly. Age spots tend to appear on the parts of your body that receive the most exposure to the sun. They’re flat and range in color from tan to black. Similar to skin tags, age spots begin to develop in people aged fifty and up. Rosehip Essential Oil: You can apply this oil to your age spots on its own or as part of your other skin care products. Make sure your skin is damp before applying a few drops of rosehip to your age spots. Thoroughly massage it into your skin for one to two minutes. The antioxidants it contains will help reduce age spots (especially brown ones). Geranium Oil: Similar to rosehip, geranium oil also contains antioxidants that help to reduce age spots. Whether you prefer olive or coconut oil, mix one teaspoon of either with five drops of geranium oil. Before bed, massage the essential oil blend into your face with attention to your age spots. Do you have any experiences with warts, moles, blackheads, skin tags, or age spots? If you tried any of these natural remedies or have a few of your own, we look forward to you sharing them!